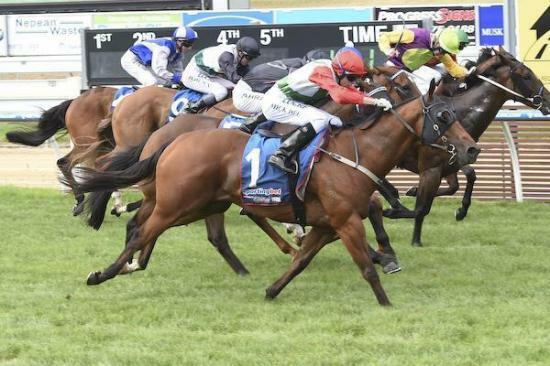 Grand Orator proved too strong on his home track for Mornington-based trainer Tony Noonan who is having a stellar week with his third winner in five days. Settling at the back of the field in the Chadwick Grimmond Engineers Handicap over 1200m under New Zealand apprentice Michael Dee, Grand Orator created a few nervous furlongs for Noonan and connections. “Coming into the turn, you’d have probably ripped your ticket up but on his home track, we knew he was capable of doing that uphill work in the straight and Michael rode him with good confidence,” Noonan said. “He’s still only lightly raced for a 6-year-old and he’s one of the most honest workers you can find in a stable. Giving the leader eight lengths at the top of the straight, Dee pulled Grand Orator out to be the widest runner upon straightening. Once balanced up, Dee pulled for the whip 100m from home where the Grand Orator ($6) responded gallantly to produce an electric burst of speed to score by half-a-length from Spencer Street ($8) and Count The Interest ($13) in third. The win was Dee’s second metropolitan win for Noonan from as many rides for the stable since the apprentice's arrival in Australia. “We watched him (Dee) a lot in New Zealand and were amazed that he could claim 3(kg) in the city,” Noonan said. Today’s win brought Grand Orator’s prize money earnings to $119,223 from 22 starts.